Sea scallops are unique from clams, molluscs and other bivalves. All of them are filter feeders, but the sea scallop filters out larger sized particles such as diatoms and large protozoans that are larger than 50 micrometers. 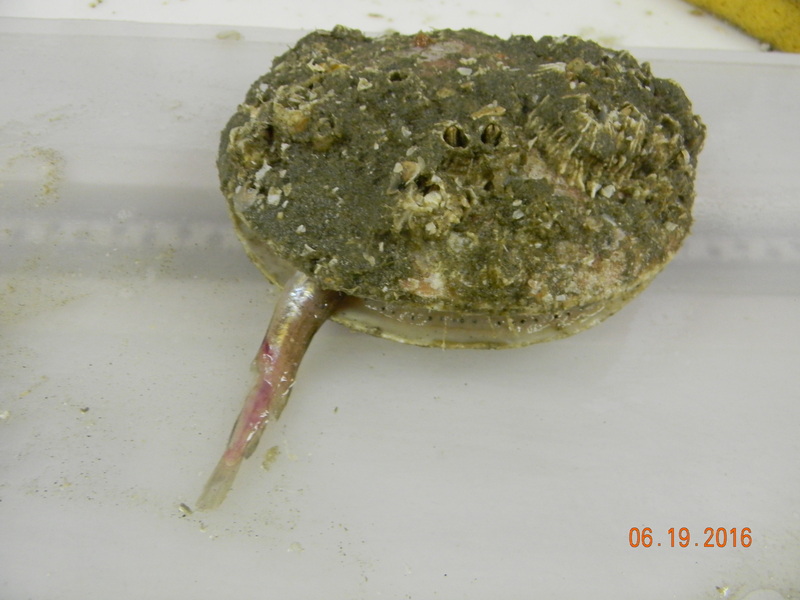 Clams filter feed on smaller animals and particles that are too small for the scallop to retain and therefore flow right through their digestive system. Older scallop found in a protected area. 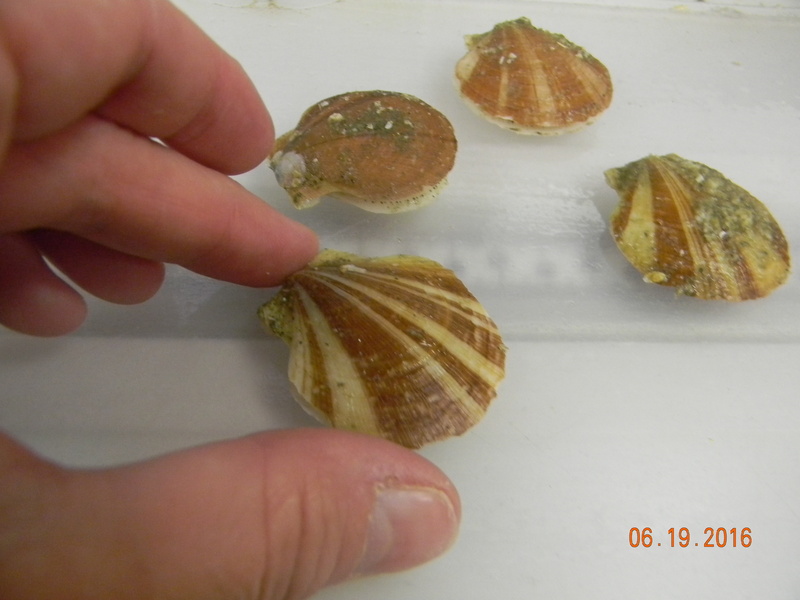 Dr. Scott Gallager is looking inside the stomachs of scallops. His hypothesis is that microplastics are traveling down to the bottom of the ocean, and if they are, the scallop will siphon them into their stomach along with their food. Microplastics are, as the name suggests, small pieces of plastic measured in micrometers. They may enter the ocean as an object such as a plastic water bottle, but over time with the turbulence of the ocean and the sun’s ultraviolet radiation break down into smaller and smaller pieces. Another way microplastics are entering the ocean is through the cleaning products we use. Many shampoos, detergents and toothpastes have small beads of plastic in them to add friction which aid the products cleaning potential. Untreated water, such as runoff, has the likelihood of flowing into the ocean bringing microplastics with it. If a sea scallop ingests microplastics the same size as its food, the scallop will not be getting the nutrients it requires. Large quantities of micro plastics falling to the bottom of the ocean would obviously cause the health of scallops to deteriorate. Another interesting story of the sea scallop is its “attachment” to the red hake. It is not a physical attachment. There appears to be a sentimental attachment between the two even though that is obviously not possible. The red hake is a fish that starts out its life as a small juvenile without any protection. It finds a home and refuge inside a sea scallop shell. The sea scallop almost befriends the little red hake and allows it to live behind its photoreceptive eyes, next to the mantle. Red hake minnow found in its scallop. The fish curls its body into the same contour shape as the scallop. The little fish can swim in at times of danger and the scallop will close its shells to protect them both. After the threat has passed the scallop opens its shells and the little red hake can swim out. Red hake did not make it in before closing time. There seems to be some commensalism between the two. Commensalism is the relationship between two different species where each live together without any one feeding off of the other. They live in harmony with each other neither hurting the other. 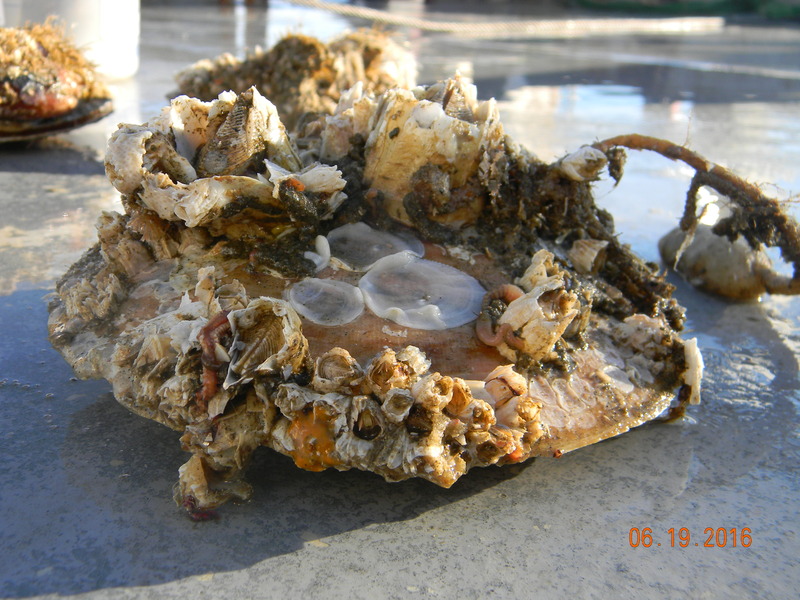 It is not known whether the fish feeds on the scallops’ parasites or if they just coexist together. It is clear something is happening between the two, because after the red hake grows and no longer fits inside the shell, the fish will still live next to the scallop. It now will curl itself around the outside of the shell. Looking at HabCam pictures, it appears to curl around a scallop even if the scallop is no longer alive. Could it really be the same scallop it lived in as a minnow? Red hake curled around its scallop. Picture taken from the HabCam. Red hake numbers increase in areas where there are larger, more mature, sea scallops present. What connects two together? Is there some chemical connection where the fish can identify the scallop it “grew up” with? Why is the red hake red? The red hake is part of the cod family. The other fish such as the silver hake, spotted hake, white hake and haddock do not act like red hake. Red hake are the same color as the scallop. Coincidence? Maybe. Is the red hake now protecting the scallop as it curls around it? The scallop protected the young fish for as long as it could, so now is the Red hake returning the favor? The main predator of the scallop is the starfish. A starfish would have to climb over the fish to get to the scallop. The red hake would not allow the starfish to get that far. Red hake have a swim bladder that erupt when brought to the surface. Is the red hake still just protecting itself? When curled around the scallop, the fish blends in with the scallops red color and is in a sense camouflaging itself from its enemies. In this sense, the scallop is still allowing the red hake to hide, but this time in plain sight. The Atlantic sea scallop is more interesting than expected. It is curious how the scallop seems to realize how close it is to other scallops. Without having a fully functioning brain, just groupings of neural ganglia, acting as a control center for a bodily functions or movement, how can the scallop decide the best place to live? Do they move in search of a better habitat? How do they know to disperse within their area so they are relatively the same distance apart as seen on the HabCam? Is it competition for food? Could it be their photosensitive eyes can’t tell the difference of movement of a predator to that of another scallop? They seem to be able to tell the difference between a sea fish predator and one that is not. 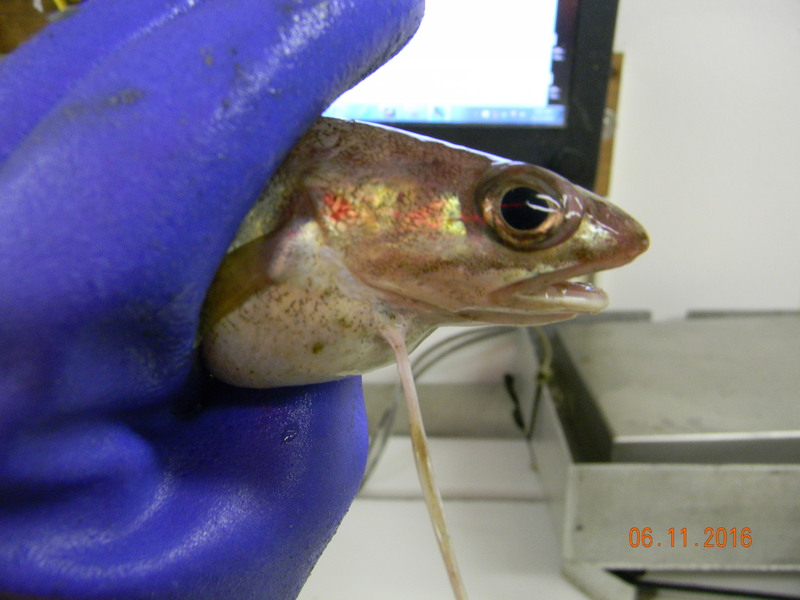 Why are they so tolerant of the red hake? More questions than answers. The HabCam is a wonderful tool for studying these questions and more. So little is understood about the habitats within the oceans. It has been easier to study space than to study the depths of our own planet. This is a very exciting time in oceanic research. The HabCam will reveal what has been covered with a blanket of water. We spent a little more time at Woods Hole. 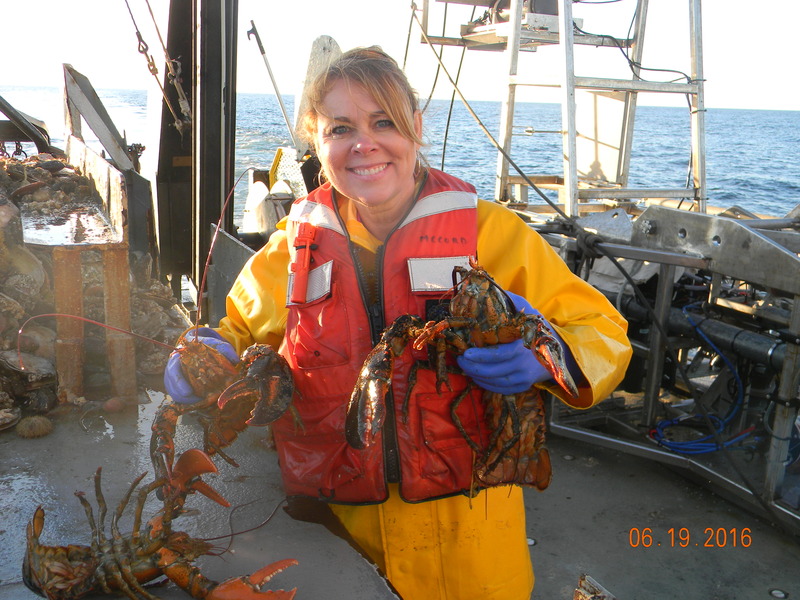 Jim, the ship’s captain, hired a crew of scuba divers to scrub off the barnacles growing on the rudder. I was lucky enough to find a tour of some of the labs at Woods Hole. Scott called around to his colleagues and discovered there was a tour for teachers occurring at that moment when we arrived. Alvin the deep sea submersible in dry dock. I quickly was sent on a campus bus with Ken, a man working in the communications department, also with a science degree. I think he said it was in physical geology. Everyone around here has multiple degrees and they are often opposite what you would imagine. Such diversity makes some very interesting people to chat with. In the teacher tour was a former TAS (Teacher at Sea). She was here because she won a touring trip to Woods Hole, so we had some time to chat over lunch about our experiences. We agreed the TAS is one of the best teacher development opportunities out there for all teachers and I think we convinced a third to apply for next year. I never got the long walk I had planned on, but a much better one learning more about Woods Hole. 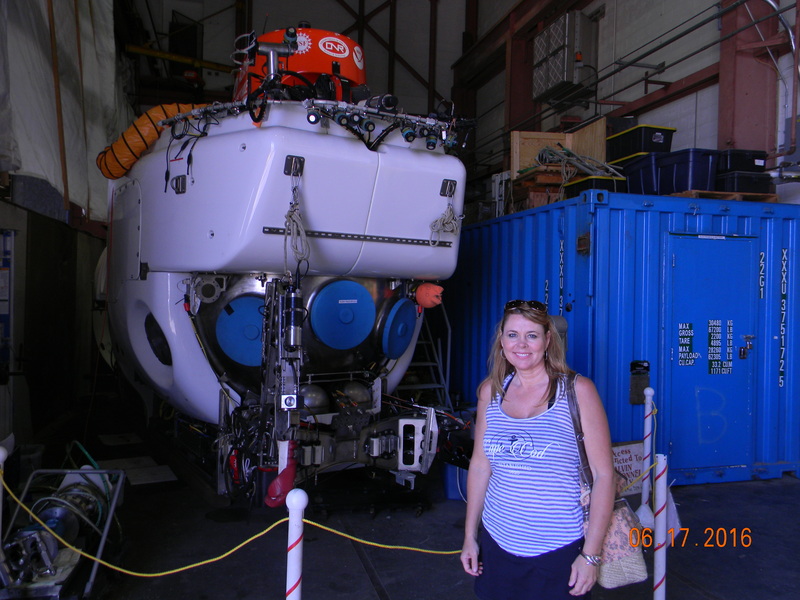 Ken even took me to see Alvin, the deep sea submersible that lives on the Atlantis. The Atlantis was leaving Alvin behind on its latest mission so Ken showed it to me. The navy is using it this time. I’ve been feeling great and even got on the exercise bike. Today we will be HabCaming the entire day. It is a nice rest compared to the physical work of dredging from the last two days. Both HabCam and dredging have their benefits. Together they create a much better understanding of what’s below us. While I’ve been writing this the wind has picked up 10 knots. The waves are 4-6 ft high with an occasional 8ft and it doesn’t look like it will let up. The HabCaming continues but it is harder to keep it level. They are considering going in early if the weather continues to get worse. I believe Tasha said we were a bit ahead of schedule so that wouldn’t be so bad for the survey. Before that happens, there is more dredging to do. 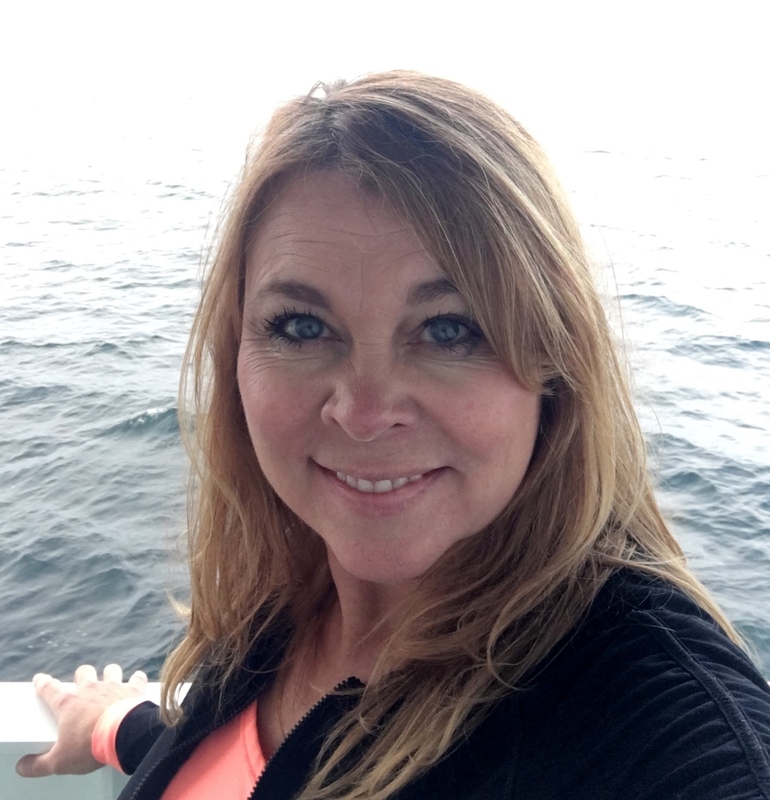 This entry was posted in 2016, Donna Knutson 2016, NOAA Teacher at Sea and tagged Alvin, Commensalism, R/V Hugh R. Sharp, red hake, scallop, Woods Hole Oceanographic Institute. Bookmark the permalink.